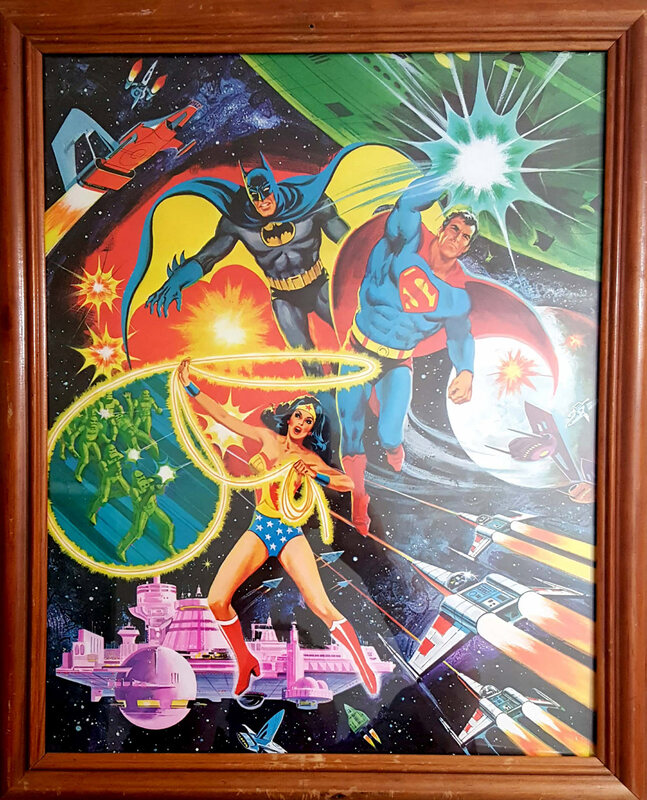 Plaid Stallions : Rambling and Reflections on '70s pop culture: Super Friends go all Galactic! and he can breathe in space! Seriously, tho, that picture's all over the place, and the holy DC trinity looks like they were added afterwards. Also it looks like Superman has joined the Green Lantern Corps! They had to compete with Star Wars so the " Galactic " phase of the Superfriends was a given although , where's Wendy , Marv and Wonder Mutt ?